Sometimes, zombies are reanimated because of strange, unknown viruses or infections. Other times, they are horrible experiments gone wrong. Others, like the Groundbreaker Voodoo Ghoul, are flesh-eating monsters raised by magic. That might be their only similarity, though, as voodoo zombies are very different from their decaying kin. This zombie has dark skin and scraggly, long hair. She shows little to no signs of decay, because she is probably either not completely dead or only just recently died before being reanimated. Her skin is pulled tight across her bones, and her eyes are blood-tinted with yellow pupils, giving her a ravenous and insane look. From one ear hangs a small voodoo charm, a shrunken skull. 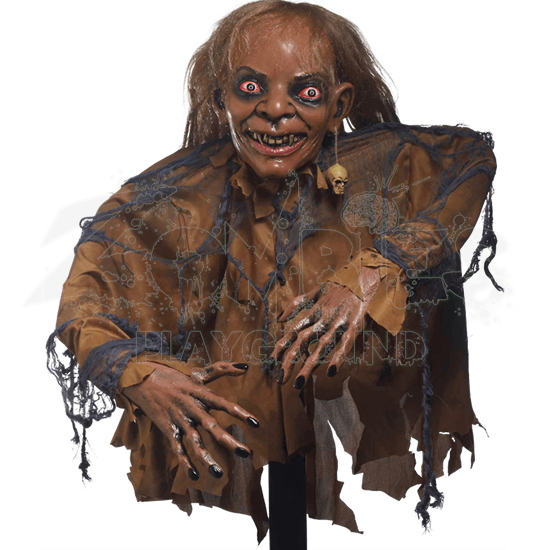 This zombie wears a tattered, light brown colored shirt decorated with tatters and strands of gray gauze. Its head and hands are made from hard vinyl, and it has pose-able arms, which allows you to position the zombie to ensure that it is perfectly terrifying. 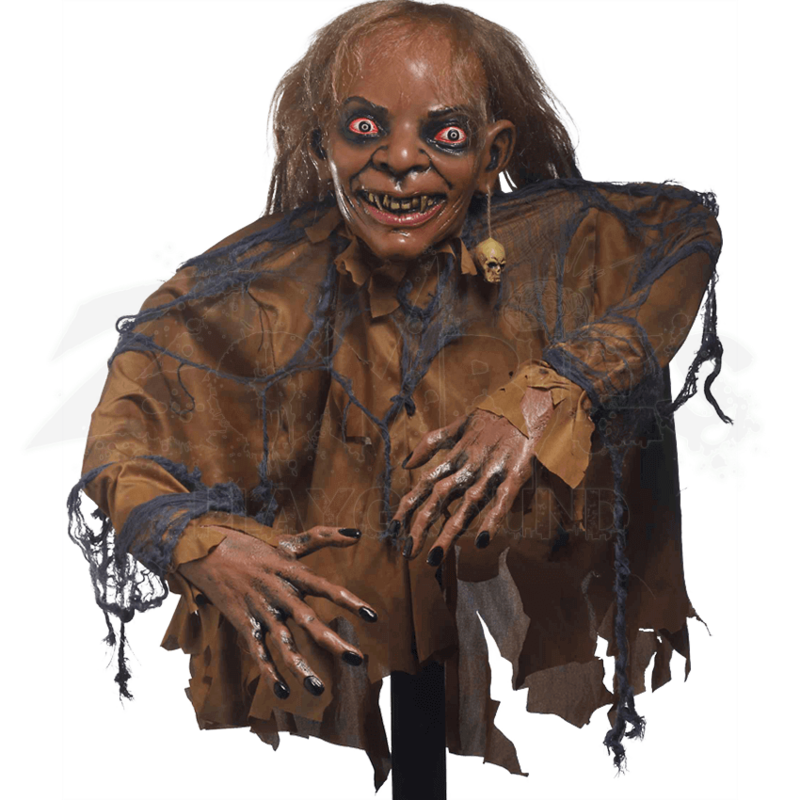 When it comes to inflicting raw terror, nothing is as shocking as witnessing a Groundbreaker Voodoo Ghoul as it claws its way through the earth, back into the world of the living.